Identity Theft: Breakthroughs in Research and Practice highlights emerging perspectives and critical insights into the preservation of personal data and the complications that can arise when ones identity is compromised. 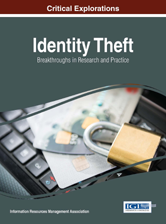 This critical volume features key research on methods and technologies for protection, the problems associated with identity theft, and outlooks for the future. INTERNATIONAL STUDENTS AND LEGAL ISSUES IN THE U.S.
HOW TO PREVENT A DENIAL-OF-SERVICE (DOS) ATTACK? GOVERNMENT-OPERATED ELECTRONIC AUTHENTICATION INFRASTRUCTURES: HELPFUL OR USELESS? Chapter 16: How Private Is Your Financial Data?